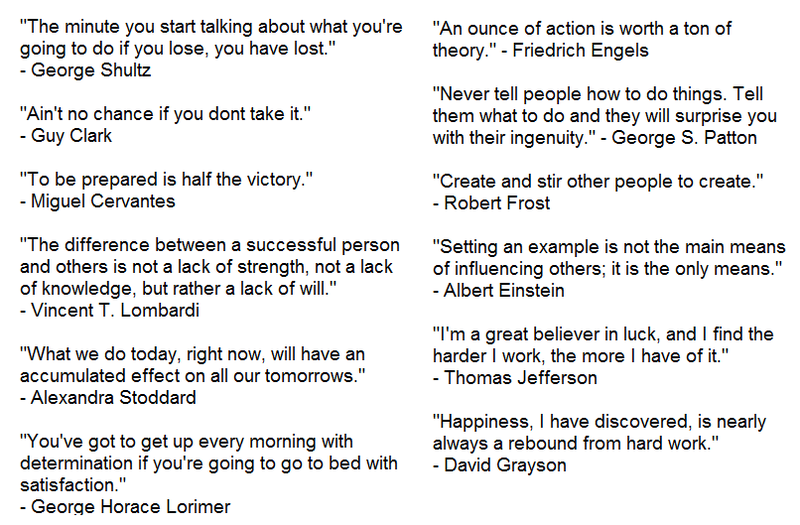 A collection of motivational volleyball quotes on the topics of leadership, success, and coaching. The most important skill an athlete can possess for success in sports is MOTIVATION. How do you develop motivation? Everybody talks about being motivated. What does this mean? Try this exercise. Get out a paper and pencil. I want you to respond to the following 3 questions. 1. Why do you play volleyball? What makes you passionate about it? What do you like about it? Is it the physical energy of it? Is it being able to perform in front of a crowd? Is it because you like to be with your friends? Or do you like the process of learning and becoming a better player? Is it because you're really good at it and so you feel more confident? Write down the main reasons you play volleyball. Knowing the real reasons you play volleyball is part of motivation. In the time you are needing motivation, you can come back to these reasons. 2. 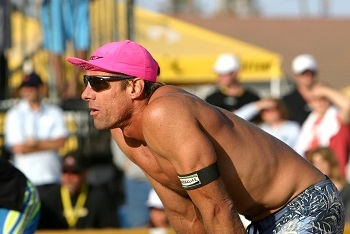 When you're playing volleyball, what words, phrases, or images do you think of that help get you energized and fired up ready to play? Is it your teammates yelling out, "Go go go!". Take a few minutes to write down the motivational words that get you going. All athletes have to spend a lot of time practicing their sport to become great. Volleyball phrases that motivate can really help. 3. Next, write down situations in volleyball where you have motivational problems. For exmample, being disciplined in serve receive. Focusing on a perfect pass to the setter. Or maybe you have trouble consistently penetrating the net block. Or maybe you don't approach like you should every time you hit. Now look at the situations you've listed and go back and write down what cue words you're going to use for each situation. Next time you struggle in practice remember the cue word and that will help you stay with it. This motivation technique may not make practice easier or less boring, but it will help you get through your training more efficiently and effectively. How can we inspire other people and ourselves to be self-motivated? Feeling empowerment is feeling self-motivated. If you can answer "yes" to the following 3 questions, then you'll feel empowered. Do you believe that you can do it? Do you have the time, knowledge, and training to do what we're asking you to do? If the answer is yes, then great. Do you believe that what we are asking will work? Do you believe that your behavior will lead to the intended outcome? This could take some education. You may need to be taught or educated on why and how this might work. You probably need some training. Training means you do the behavior then you get feedback. Selection by consequences. Is it worth it. If you answered yes to those questions, then you feel competent. You feel motivated. You give them feedback. You give them recognition. You show them they are competent. When you believe you have a sense of choice in what you're doing, you feel more self-motivated. It's important to understand that we often feel like we are controlled by consequences. When I feel like we are working for a pleasant consequence, then it feels good. When I feel like I'm trying to avoid an adverse consequence, then I feel like I'm being controlled. This is called negative reinforcement. Volleyball: Invented by men, perfected by women . If you can hang, you can bang.